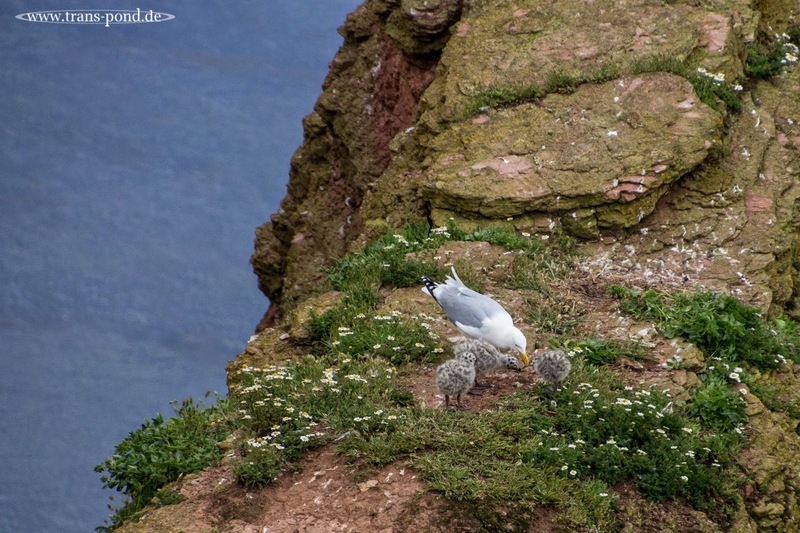 On a ridge of rock on Helgoland's bird cliffs a seagull mother is feeding her 3 chicks. I love how they blend in. I bet of all those people standing up on the cliff only very few noticed the chicks.